Fronting Agora where you can see the church of Snr. San Jose. The biggest catholic church in town.My travel partner Nikko really had fun taking pictures in front of the church. After we saw the beautiful church in the town. We had fun also taking picture to their Proudly and colorful “Lake by town in San Francisco”word . Where it was placed just a few meters in front of the church. Located meters away from the Port of San Francisco, the main town of Camotes, is San Fran Baywalk which recently changed its name to just “Baywalk”. It is an estimated 300 stretch from the main road near the Causeway and ends at the foot of a mountain. The beautiful bermuda grass design and snake-like passageway of the Baywalk is what makes it very interesting for families and friends as a relaxing area during the afternoon and evening. The Baywalk trail is equipped with several exercising equipment made from metal circular bars such as the Parallel Bars, Monkey Bars, etc. A dozen of benches and light posts are available for people to be more tempted to feel the cool breeze of fresh air and the wonderful ambiance during nighttime. 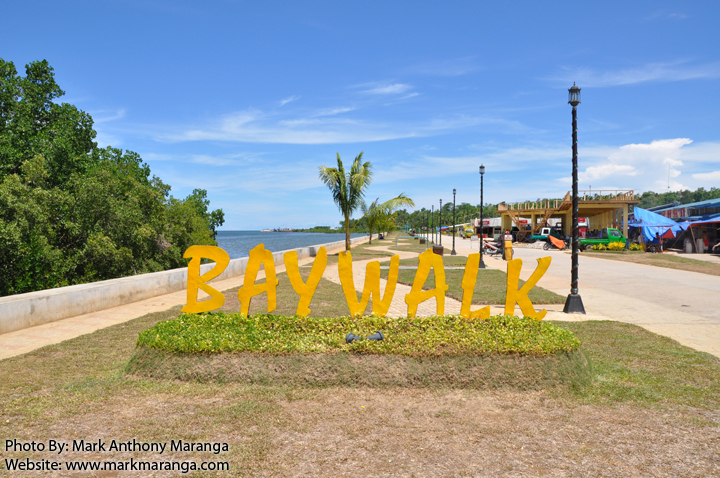 The Baywalk is the first of its kind in Camotes islands. It was constructed in 2009 through the unified efforts of the Local Government Units headed by Mayor Al Arquillano, Congressman Red Durano and Governor Gwen Garcia. hahahaha.. Yes he is Nikko..You know him? Yes, I think I know him, like 3 years ago? Hahaha I’m not sure. He owned a cute dog right? Hey, I added you in Facebook 😆. Thank you. Let me approve it. Hope to stay in touch with you.